Baby food makers are available in various shapes and sizes. Moreover, you can also see different types from electric to manual, sophisticated to simple. Regardless, it is vital that you are able to choose the tool that is right for you. You do not even have to be a master in the kitchen to make your own baby food. With the best baby food maker, you can start making healthy and homemade baby purees for your child. Since there are several types of baby food makers in the market and choosing the best one is essential. Read on to learn how to choose the best one based on your needs and preferences and check out the top five best baby food makers in the market. While commercially available food is readily available in your local grocery stores, it does not par with the benefits that you get from making your own baby food. When you make your own baby food, you can definitely save money. Not just that, commercially prepared baby food has the tendency to lose its nutritional value during the production. But when you prepare your own food, you know that you are preparing healthy meals for your baby. However way you want to see this, if you decide to make your own baby food, you will find peace of mind because you know exactly what your baby is eating. The first thing that you need to consider is the type of baby food maker, as there are different makes and models of baby food maker in the market. If you prefer to keep your baby food production separate from the rest of the tools in your kitchen, the all-in-one baby food maker is the right type of device for you. Since this type of machine may take up space on your counter top and storage, you should have ample space for this device. Blender type of baby food makers, on the other hand, offers a happy medium between the manual type and the all-in-one type. This type of baby food maker has large capacities and work well at blending food. The blender type does not need large space for operation and storage. Not just that, they are also easy to clean. Once your baby passes the stage of eating pureed foods, this can still be used in preparing soups and other kitchen needs. The manual baby food maker is the ideal device for you if you are up for making baby food on the go. However, they may be quite a few things to keep in mind like the device’s blending capabilities. In essence, it is essential to think about you and your baby’s needs first before purchasing a baby food maker. You have to consider the device itself, its features, price, and capabilities. Aside from determining the device type, there are other important factors that you need to consider like counter and storage space in your home, your budget, your commitment and additional unnecessary features of the device. For instance, you should consider your space for use and storage. If you have limited space at home, you should consider purchasing a compact device, as this would easier to use and store. Moreover, if you like something that you can take with you while you are away from home, you should check out devices that comply with this factor. Since investing in baby food makers can be expensive, you should consider your budget and your commitment. If you are absolutely certain that you are going to be using the device for a longer period of time, you should make the purchase. The features of the device should also be considered. Only consider purchasing a baby food maker with features that are most useful for you. Additional features may be nice but you should take note of its necessity or you will end up buying an expensive device with a feature that you are not likely going to use. 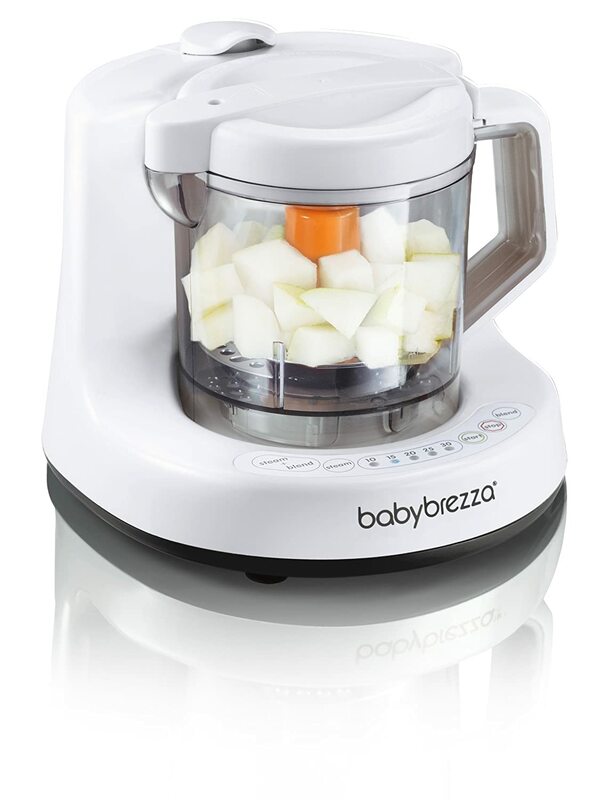 The One Step Food Maker by Baby Brezza can help you whip up delicious homemade baby food within minutes. This device makes baby food making simple, easy and convenient. This is one stop solution offers convenience not just during operation but also when cleaning. You simply have to add in the ingredients, set the steam time on the device and you are good to go, as this machine will do the rest. Its patented system actually allows you to blend and steam food in one step using one bowl. You do not have to transfer hot foods while cooking. This device allows food to be blended, steamed, reheated and even defrosted. Its bowl and blade are dishwasher safe and BPA free. With its one bowl design, you can avoid accidental spills while preparing baby food. Ultimately, this device can help you create healthy and delicious homemade baby food for your precious little one. Beaba is one of the world’s leading manufacturers of baby food makers. Their products have been proven to be safe and easy to use with superior performance. 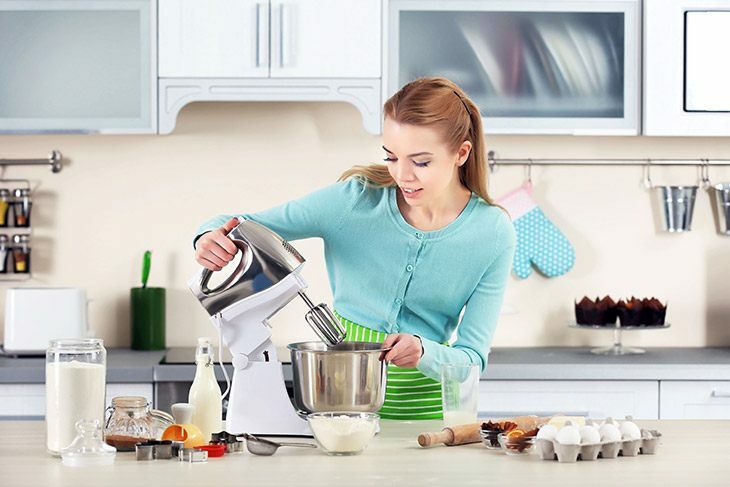 The Babycook 4-in-1 steam cooker and blender is no exception. 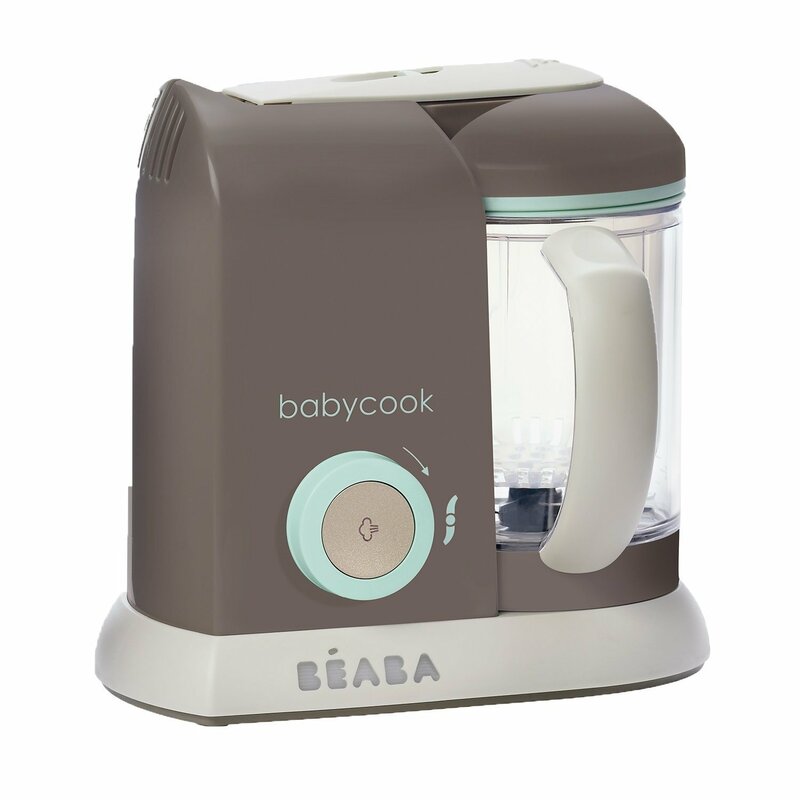 This all-in-one baby food maker is one of the best selling products by Beaba. This device can help parents save time and money by making it easier and simpler to prepare healthy homemade baby food recipes. This device features a built-in steamer which maintains the quality and freshness of the food that you are preparing. The vitamins and nutrients are confined while cooking. This way, you know that you are preparing on the best and most nutritious foods for your baby. This baby food maker can blend, defrost, cook, and reheat your food. With its smart design, you can easily operate the device using one hand. Not just that, the device also alerts you when the food is ready it and shuts off automatically. Now, you can cook and process fresh ingredients for your baby in less than 15 minutes. You are guaranteed a healthy and delicious food output, as this device does not contain harmful lead, BPA or phthalate. Lastly, this baby food maker is easy to clean with accessories that are dishwasher safe. 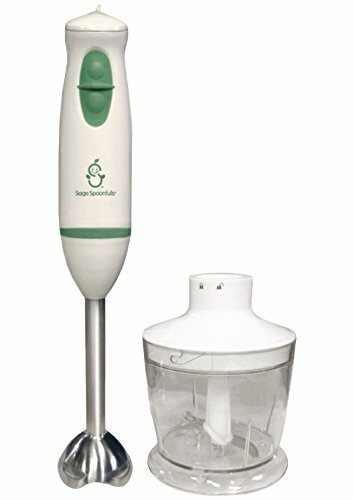 The Sage Baby Puree and Blend is an immersion food processor and blender that can help puree a month’s worth of natural, fresh and nutritious baby food within seconds. This device is definitely a great tool in the kitchen as this is lightweight and does not take up too much counter and storage space. This is the perfect device for making baby food at home or when you are on-the-go. 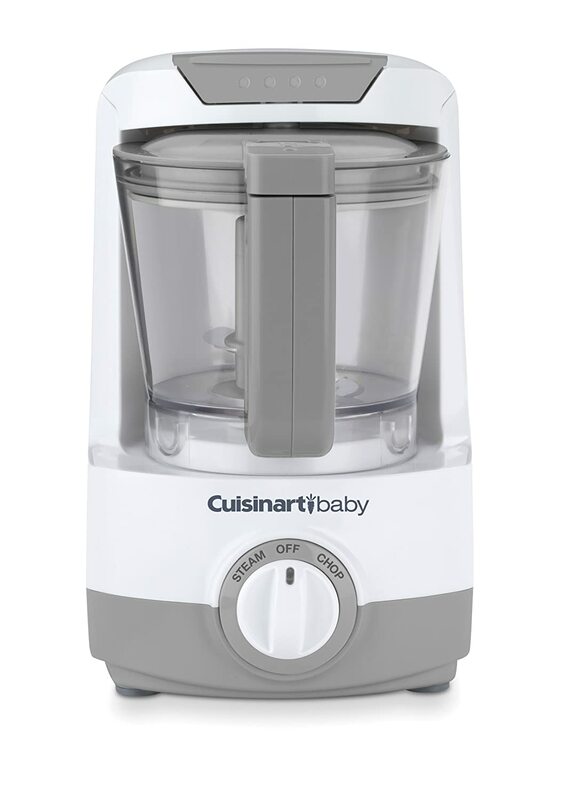 This baby food maker features stainless steel mixing blades with a powerful motor that can blend vegetables, fruits, beans, poultry and meat with ease. This device can make baby food making easier, more convenient and simpler. In fact, you can make up to dozens of servings at a time. The entire device is dishwasher safe and does not contain any BPA, phthalate, PVC, or lead. This device is made from plastic and stainless steel and is easy to clean. This device makes it easy for parents to turn healthy and fresh food ingredients into healthy and delicious meals for their baby. 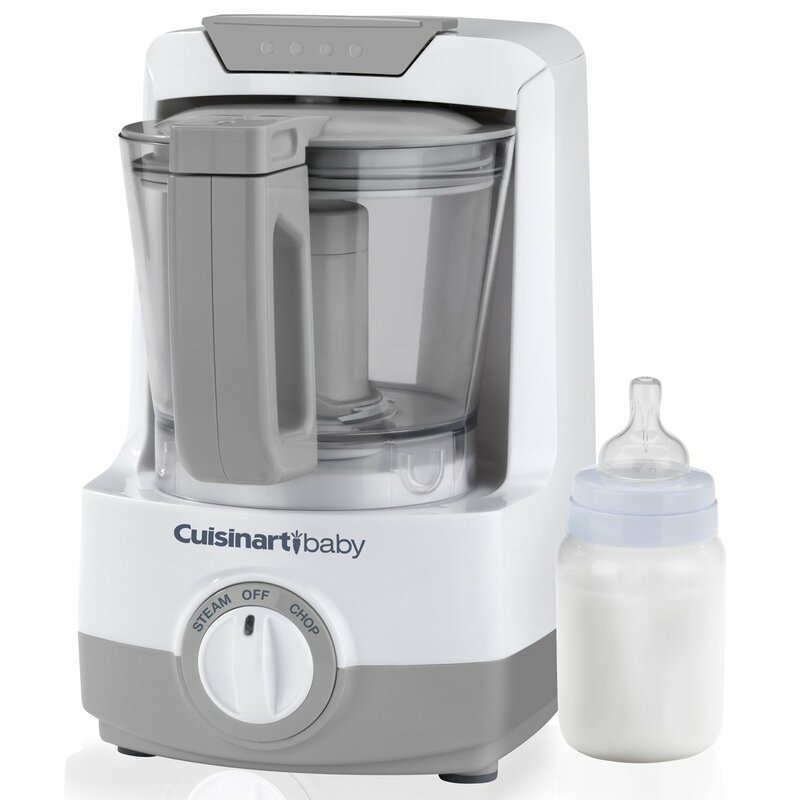 The Cuisinart baby food maker can steam and puree foods in the same bowl. With its large work bowl, you can create large batches of baby food that you can store and freez﻿﻿e for later use. Not just that, this device also comes with built-in bottle warmer that you can use to heat your baby’s bottle to the right temperature. With this device, you can steam, chop and puree baby food easily. This device also features a blade lock system which holds the blades in place while pouring food out of the container. With its steam blade, even steam distribution is created for more efficient results. This device is designed with a bowl seal to prevent spitting and improve its steam capabilities. Lastly, this comes with a powerful motor for precise chopping and quick steaming capabilities. 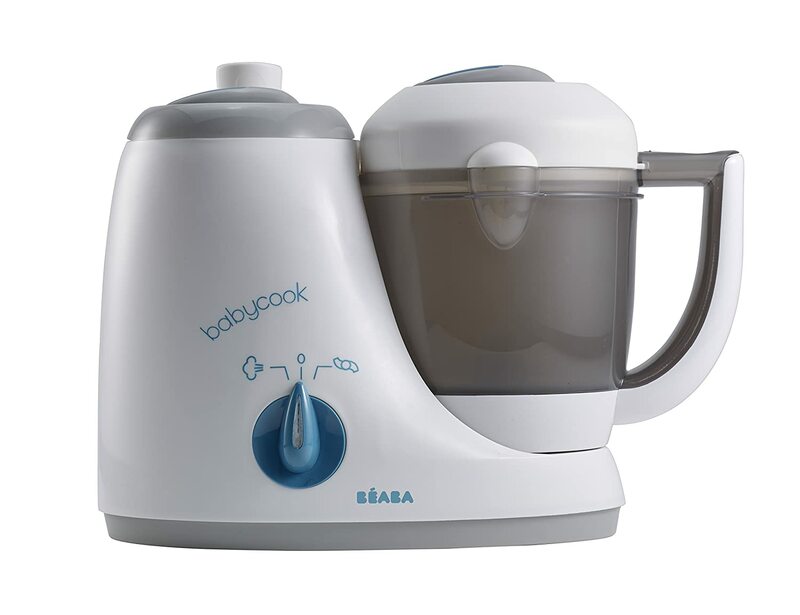 The Babycook Original 4 in 1 Steam Cooker and Blender by Beaba is one of a kind compact appliance that can blend, steam, warm and defrost food for your baby. Now, you can create healthy and delicious homemade meals for your baby. This device can quickly steam cook fruits and vegetables as well as meat in less than 15 minutes. You are guaranteed peace of mind when you use this device as you know exactly what you are feeding your baby. Not just that, you are guaranteed that the nutrients and flavors of the food you prepare are preserved. You can create, puree and blend food according to your desired consistency and how your baby prefers it. You can go super smooth, chunky or anywhere in between. You can easily reheat precooked foods with this device as well. When it comes to cleaning, this device is easy to clean and maintain. Moreover, this is dishwasher safe. Its bowl is made from unbreakable polypropylene which is BPA-free. Bowl is made from unbreakable polypropylene which is BPA-free. Baby food makers are definitely a great investment if you want to create healthy homemade delicious baby food for your child. Since there are a lot of these devices available in the market, finding the right one for you may be difficult. 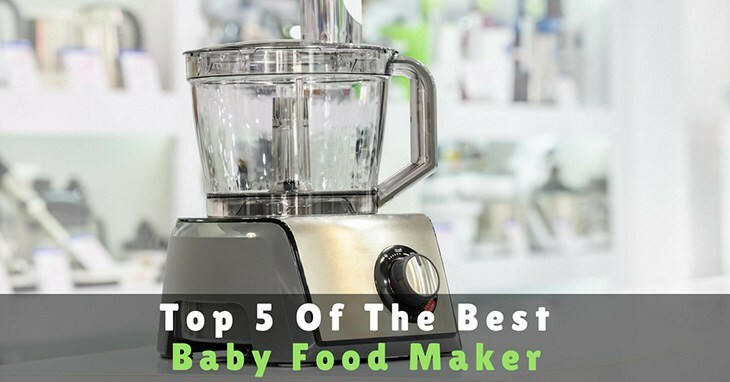 However, after careful consideration and review of the top five baby food makers in the market, it shows that the BEABA Babycook 4 In 1 Steam Cooker And Blender is the clear winner of this review roundup. Now, you can steam, blend, reheat and defrost food all in one device. You do not even have to constantly watch over it as the device will do the rest for you. You simply have to add in the ingredients and set the time to cook. If you are looking for a smart and compact device to create homemade delicious baby food, this device is definitely one of the best baby food makers in the market. Help other parents decide on purchasing the best baby food maker for them. Share this article!